It's well-documented that the lifespan of large corporations is getting increasingly shorter. In fact, the average tenure of an S&P 500 company has shrunk from 61 years in 1958 to 18 years. On the other hand, young tech companies like Uber, Airbnb, and Snapchat (all less than 10 years of age) are now worth billions and continue to replace antiquated business models and technologies. Forward-thinking organizations view startups as potential partners that can help accelerate the pace of product development. Keep reading to learn how three corporate leaders are building internal innovation programs for startup partnerships—we'll walk you through the challenges that are creating needs for innovation, how partnership efforts are structured within each organization, and example partnerships that are surfacing. Corporate goals and challenges: Product development is a key area of focus for Diageo. The company partners with emerging technology companies and pioneering entrepreneurs around the world to deliver breakthrough innovation. Startup partnership highlights: Diageo and Thinfilm, a Norwegian startup, came together to create the first-ever "smart bottle" with the goal of improving supply chain, customer experience, and anti-counterfeiting efforts. The story: The prototype utilizes Thinfilm's proprietary OpenSense electronic sensors to tell whether or not the bottle has been opened and where it's located in the supply chain. Additionally, because the technology uses smartphones' Near Field Communication capabilities, Diageo can directly send information to customers who scan the bottle with their smartphones. The win-win partnership culminated in new ways for Diageo to interact with clients and collect data, plus an avenue for Thinfilm to trial its OpenSense technology. Venky Balakrishnan, Head of Diageo Technology Ventures, urges corporations to consider exploring innovations like the smart bottle through open innovation instead of internal R&D. “An important reason is the diversity of approaches startups bring to solving the same problem. They solve the problem from so very, very different angles, from people working with big data, hardware, or social media. It is amazing that you can try all of these things at the same time on a small scale to find out what works." 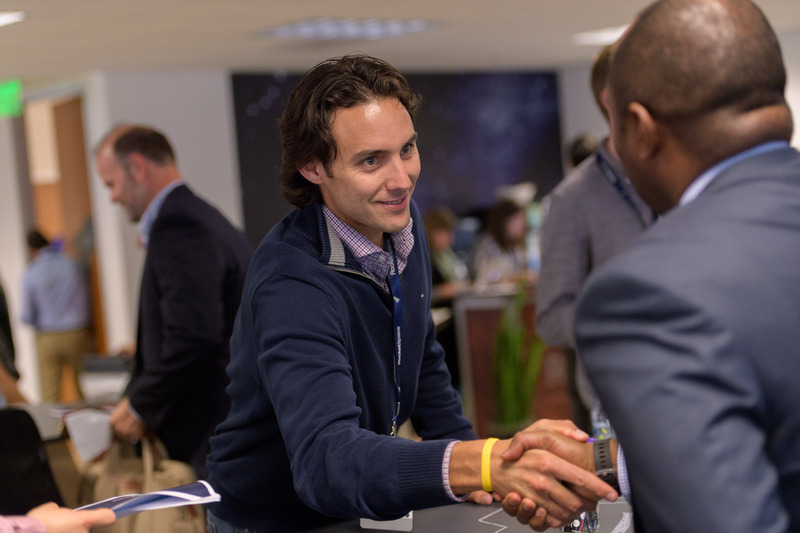 Corporate goals and challenges: The CPG leader opens up its biggest challenges to the startup market, inviting experienced founders to co-create new ventures together. Startup partnership highlights: Coca-Cola teamed up with two experienced co-founders to co-create an on-demand stocking platform to improve supply chain visibility. The story: Like every CPG company and retailer, Coca-Cola struggles with out-of-stocks (when a product isn't on the shelf when a consumer wants to purchase it). However, since Coca-Cola sells its products via more than 50 million retailers in 200+ countries, out-of-stocks is a billion-dollar concern. That's why Coca-Cola teamed up with co-founders AJ Brustein and Yong Kim to co-create Wonolo, an on-demand stocking platform to help Coca-Cola instantly restock shelves and conduct RED (Right Execution Daily) surveys. By using Wonolo, Coca-Cola has increased its coverage 25-fold and reduced costs by 75 percent per outlet. The partnership is win-win for both parties: Wonolo raised $5.7 million in its latest funding round. When asked why Coca-Cola decided to delve into the world of startups, David Butler, Coca-Cola's VP of Innovation, explained: “To give Coca-Cola more speed and flexibility. Every big, established company struggles when it comes to leveraging new, disruptive technologies and/or business models to drive growth. Think about it—they've spent decades iterating on their business model designing all of their processes and systems to scale it. Most struggle with the speed and flexibility they need to integrate new solutions without disrupting their core business. And that's why we developed our Coca-Cola Founders platform." Corporate goals and challenges: Telefónica aims to support entrepreneurial talent at a worldwide level, turning innovative ideas into successful lines of business. The company's overarching goal is to bring new products to market, faster. Startup partnership highlights: Telefonica and Social & Beyond came together to provide free Wi-Fi in exchange for customer feedback, to improve relationships with retail stores. The story: When Telefónica, one of the largest private telecommunications companies in the world, struggled to convince retail stores to upgrade their broadband deals, an Open Future portfolio company came to the rescue. Social & Beyond, a “marketing application that transforms a company's free POS Wi-Fi into a social media marketing tool," became Telefónica's secret sauce. Since the technology allows retail stores to provide free wifi in exchange for customer feedback, Telefónica included Social & Beyond in its new broadband deals, creating an incentive for retail stores to upgrade to more expensive packages. Simultaneously, the partnership opened up new revenue streams for Social & Beyond. Telefónica's successful startup programs have even attracted political attention. According to Agustin Moro Cañada, Head of Strategic Partnerships at Telefónica Open Future, “Telefónica got a lot of institutional benefit out of working with startups, and is now actively working with policymakers to assist the development of regulations, especially in Spain, Brussels, and Latin America." Corporations can significantly benefit from partnering with startups, and the reverse is also true. 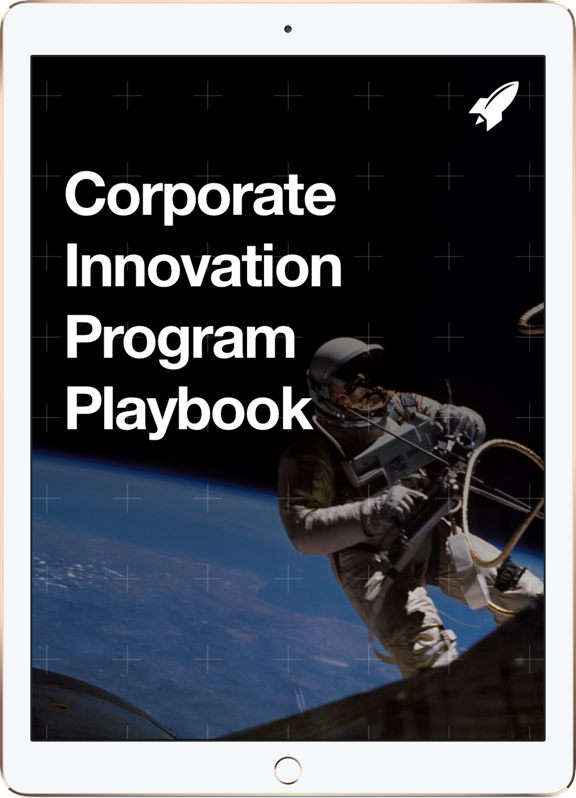 If you're a corporate professional looking to keep up with today's innovation trends, the RocketSpace team can help.